We are so fortunate to have several lovely friends with older girls who pass on their sweet clothes to us when they’re outgrown. 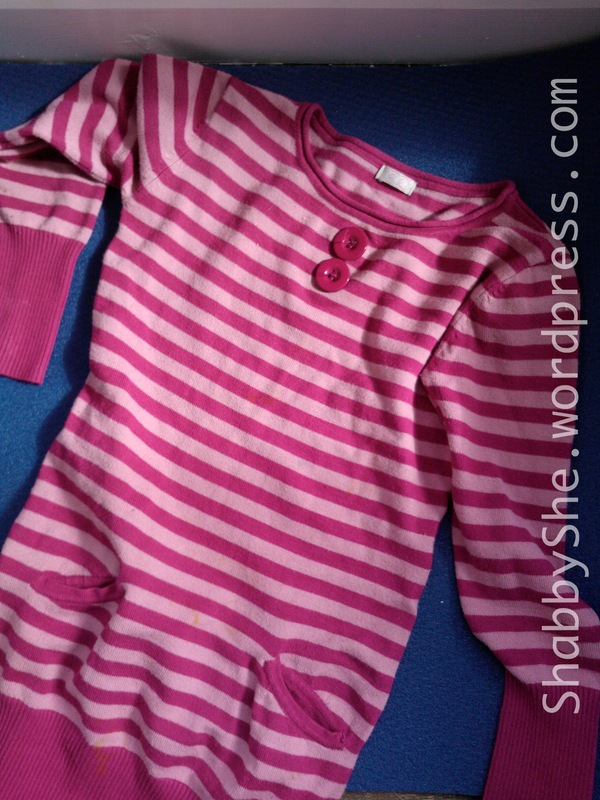 I love this stripy pink jumper dress but unfortunately it has several stains on it which I couldn’t remove with washing – a hazard of raising young children! There are several ways to recycle clothes that look a bit too sad – a great way is to give them to your favourite charity shop as they can sell the items by weight to textile recyclers for bedding etc. 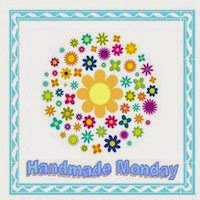 Another even better way is to refashion or upcycle them into another item of clothing, a keepsake soft toy (like we did here) or in this case a bag! 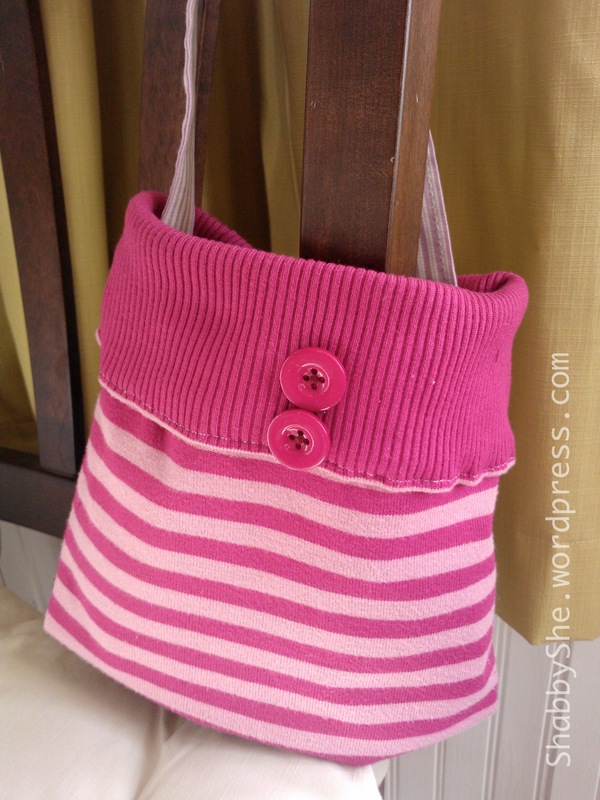 I do have a bit of a thing for bags, as regular readers will know…! I decided to keep this bag quite soft and floppy as the fabric is soft and cuddly itself. It’s lined with a man’s shirt (husband’s cast-off) and I decided to also use the shirt fabric for the strap. Cheat’s guide to cutting a straight line! To get a clean straight edge and a matching size on my shirt lining fabric, outer bag and interfacing I used my self-healing mat and rotary cutter with a wide ruler. Once the inner bag fabric (the shirt) and the outer bag (jumper dress) were cut to size I ironed on fusible interfacing to the shirt fabric to give it more structure. 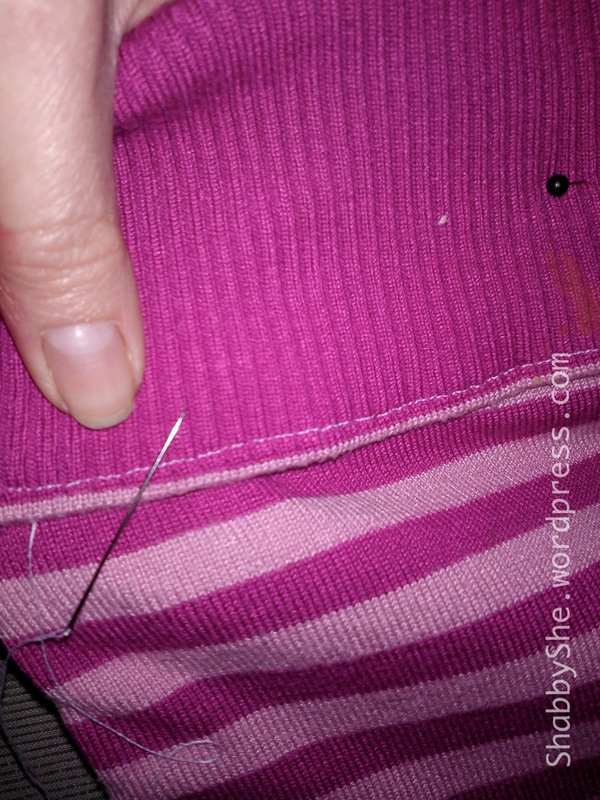 I made the strap from the shirt’s placket (the button hole strip on the front of a shirt). This has the advantage both of being already shaped & straight and having interfacing inside so it has a stiffer texture, useful in a strap. 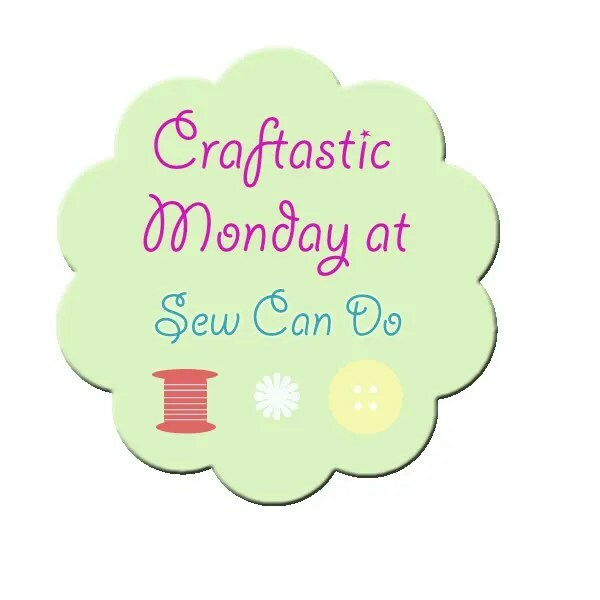 I’ve featured your fabulous refashion today. 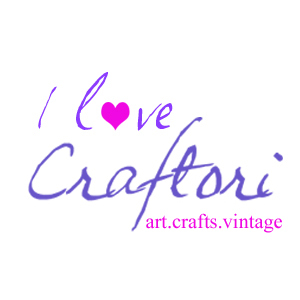 Ah, you’re so sweet to call me “fabulous”, I’m thrilled to “meet” you on craft schooling Sunday and love your upcycled bag! 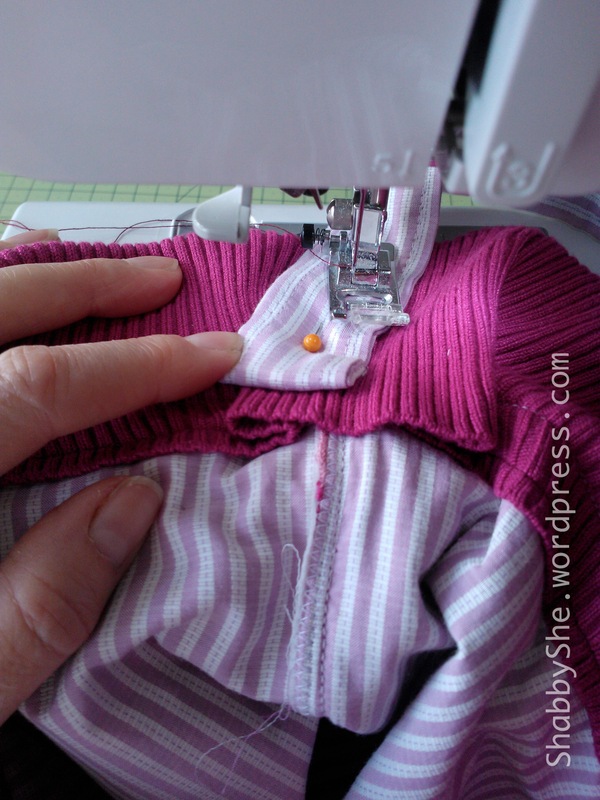 I was just eying a slightly too small sweater of one of my boys, and while I really could give it to a neighbor for her kids I think I can’t resist the chance to make something with those sleeves…..and the rest of the fabric as well!